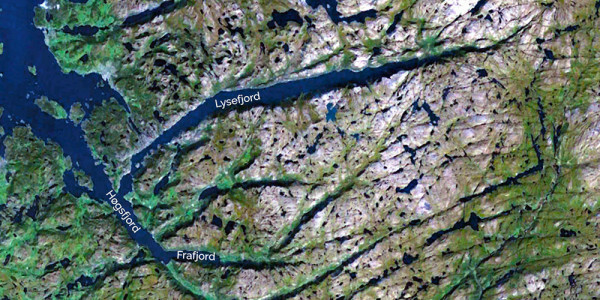 Lysefjord (or Lysefjorden, the suffix “-en” is a form of the definite article in the Norwegian language) is a fjord located in Forsand in south-western Norway. 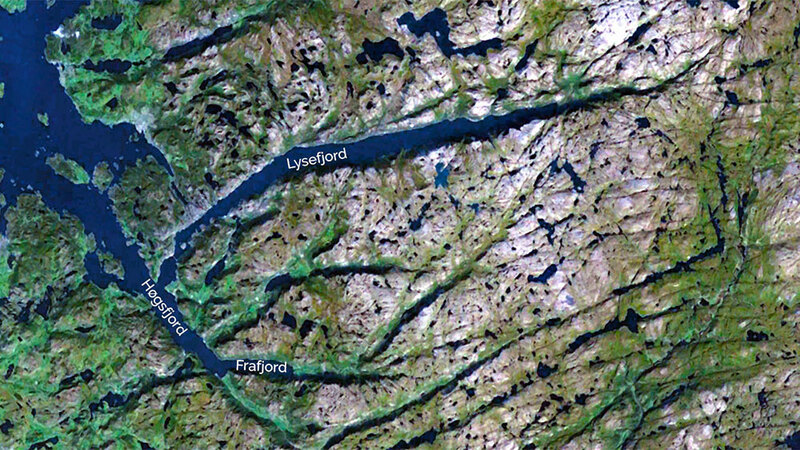 The name means light fjord, and is said to be derived from the lightly coloured granite rocks along its sides. 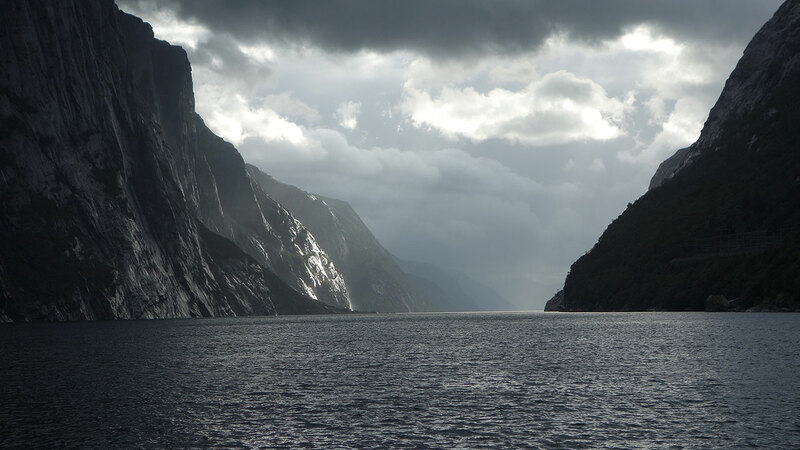 The fjord was carved by the action of glaciers in the ice ages and was flooded by the sea when the later glaciers retreated. 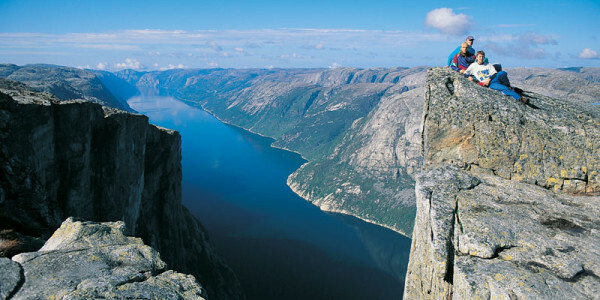 End to end, it measures 42 km (26 mi) with rocky walls falling nearly vertically over 1000 m (3,000 ft) into the water. 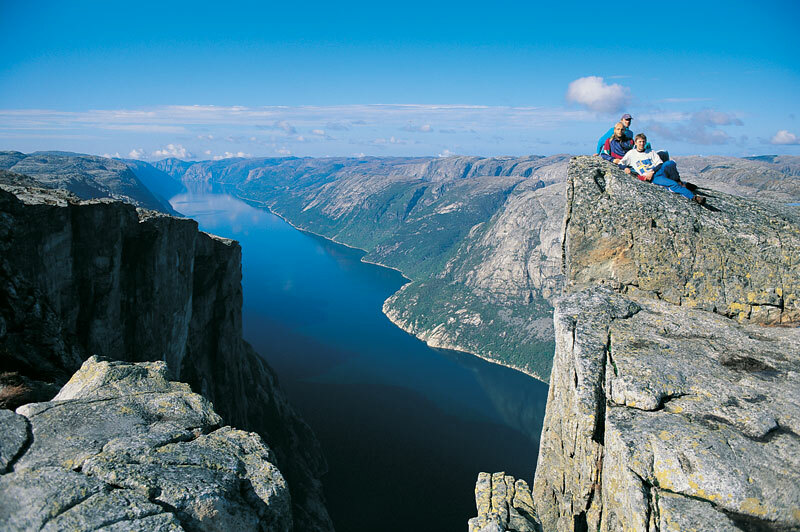 Lysefjord is an extremely popular tourist attraction. 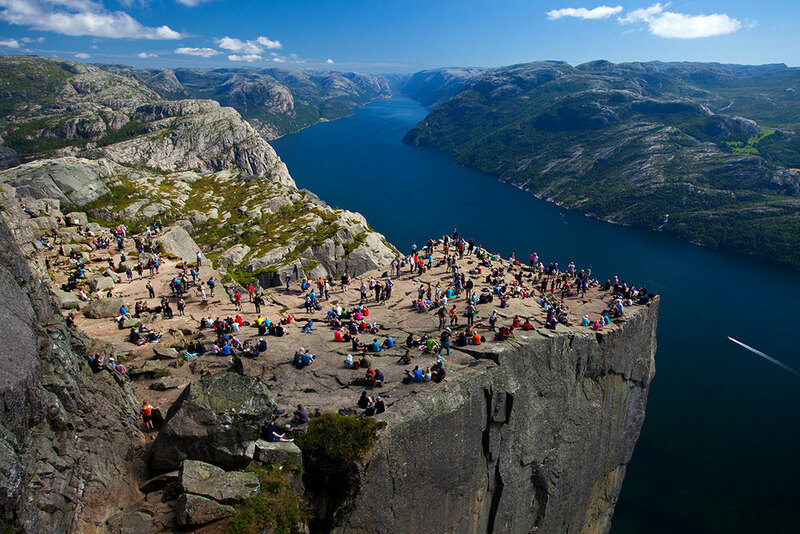 The rock of Preikestolen (Pulpit Rock), located above a vertical drop of 604 meters, can be seen from the fjord, but is more impressive from above. 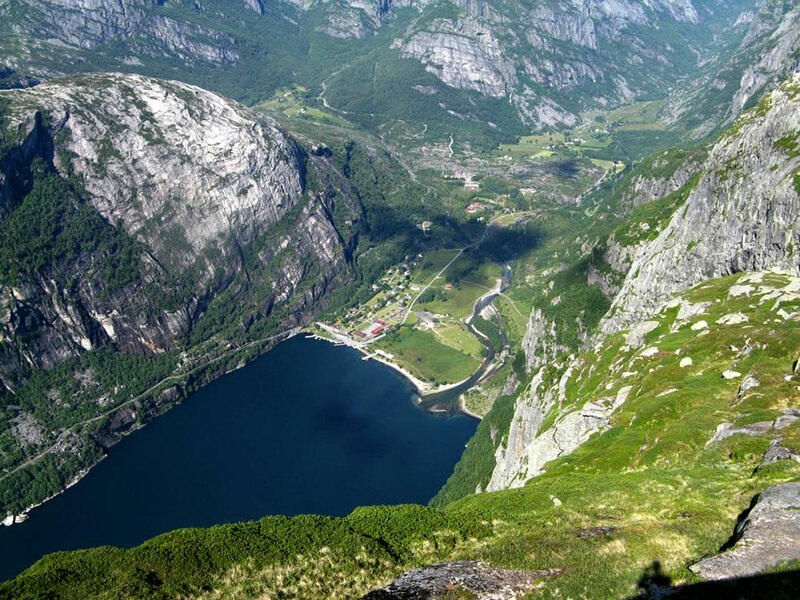 At the end of the fjord and close to Lysebotn lies the Kjerag mountain, a popular hiking destination with even more spectacular drops and where base jumpers are legally allowed to jump. 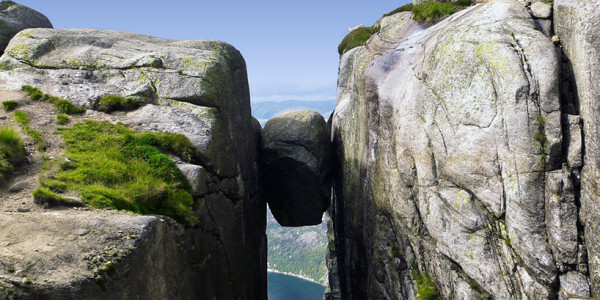 At Kjerag you also find the famous Kjerag boulder. 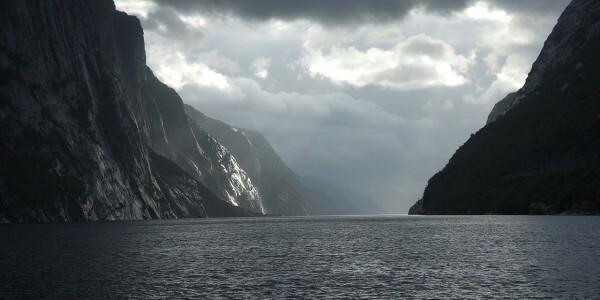 One of the finest Cam site in the world! 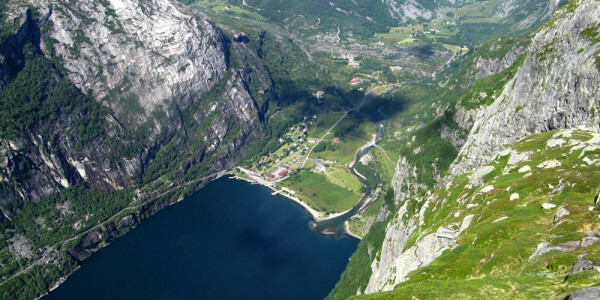 In May 2015 Lysefjordcam.com was listed on EarthCam’s Top 10 Cams in the world! 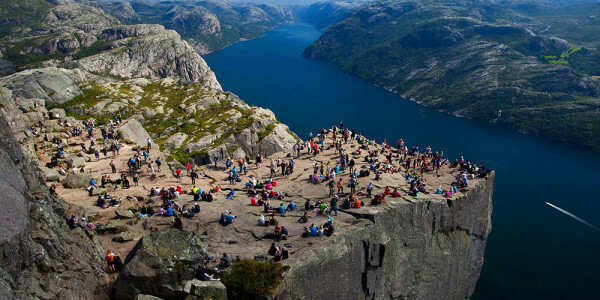 The Top 10 Cams are chosen based on quality of image, uniqueness of content and overall technical achievements in webcam technology.